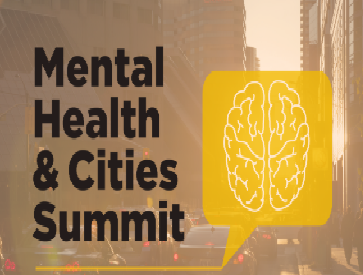 Mayor John Tory will host a Mental Health & Cities Summit on April 9 at Hart House at the University of Toronto, in partnership with Toronto Public Health, the Wellesley Institute, CAMH, Civic Action, Downtown Yonge BIA and the Federation of Canadian Municipalities. The Mental Health & Cities Summit will bring together politicians, academics, front-line practitioners, employers, and those who see and feel the impact of mental health in their communities every day, with a mandate to identify and drive areas for impact and change. It will feature Ontario Health Minister Helena Jaczek and Mayors from across Canada including: Gregor Robertson of Vancouver; Bonnie Crombie of Mississauga; Danny Breen of St. John’s, Michael Fougere of Regina, Berry Vbranovic or Kitchener and Matt Brown of London. They will be joined by: Gary Belkin of Thrive NYC; Poppy Jaman, CEO of City Mental Health Alliance UK; Kwame McKenzie of the Wellesley Institute; and City of Toronto’s Medical Officer of Health, Dr. Eileen De Villa, among others. “What can we do to make your city less stressful? A great city is good for your mental health,” said Dr. Kwame McKenzie, CEO of Wellesley Institute and Professor of Psychiatry at the University of Toronto. Hosted by Anne Theriault, a Toronto-based writer and mental health advocate, the Summit will run from 8 a.m. to 5 p.m. at the University of Toronto’s Hart House, located at 7 Hart House Circle, with registration open until April 7.